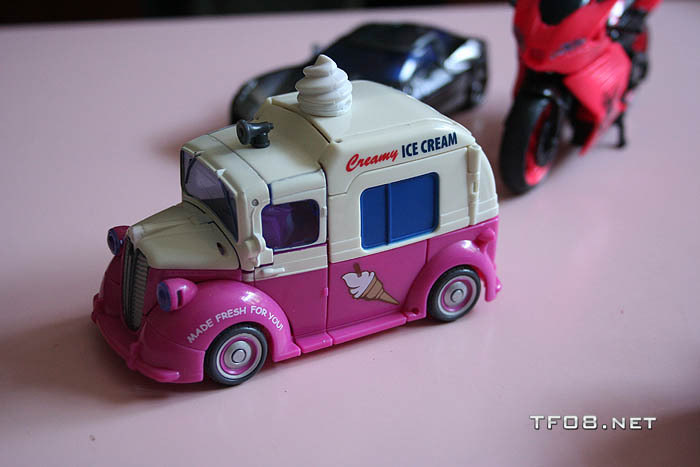 As expected, the toy video reviews for the Mud­flap & Skids Ice Cream truck and the red Arcee motor­cy­cle have been posted by Peaugh. 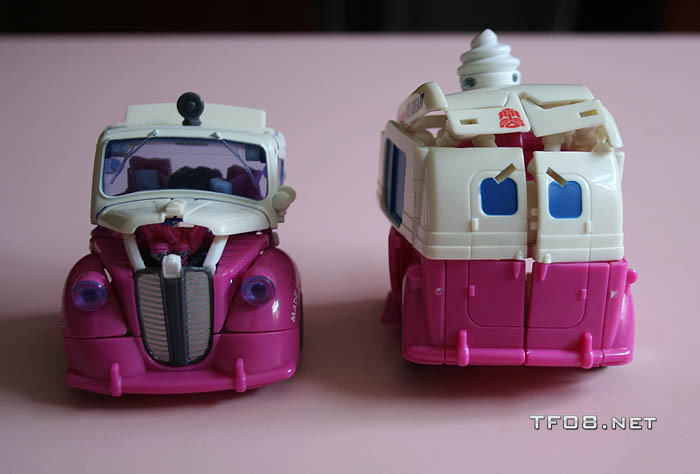 These two toys rep­re­sent the full scale of the Trans­form­ers 2 toy line — from awe­some must buy to the strange and odd (and ulti­mately pass). 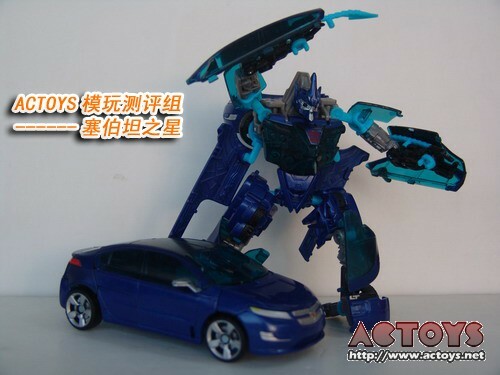 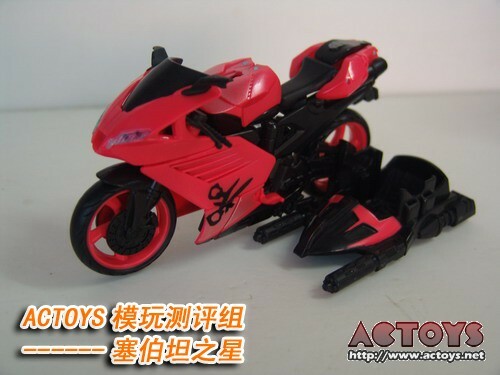 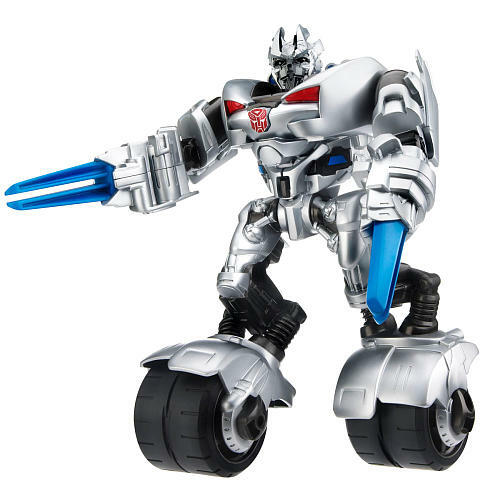 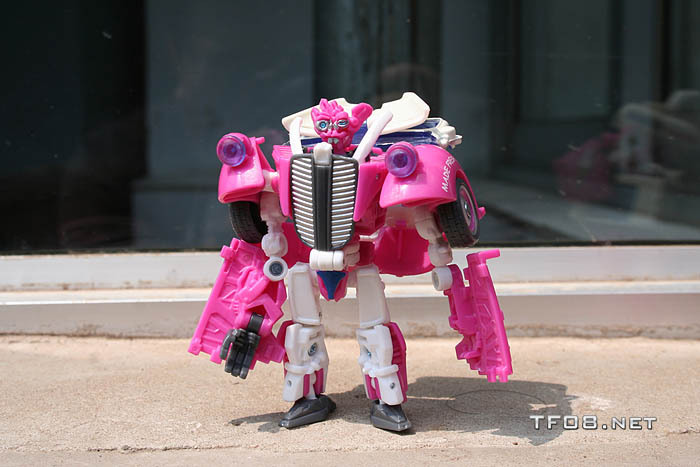 More Trans­form­ers 2 toy news for you, this time via ACToys and TF08. 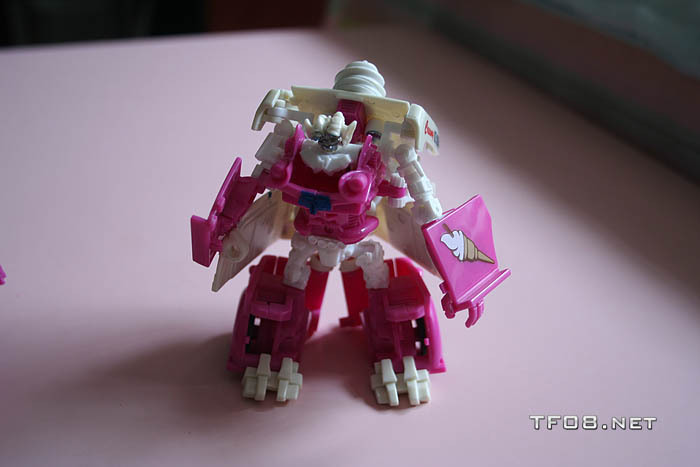 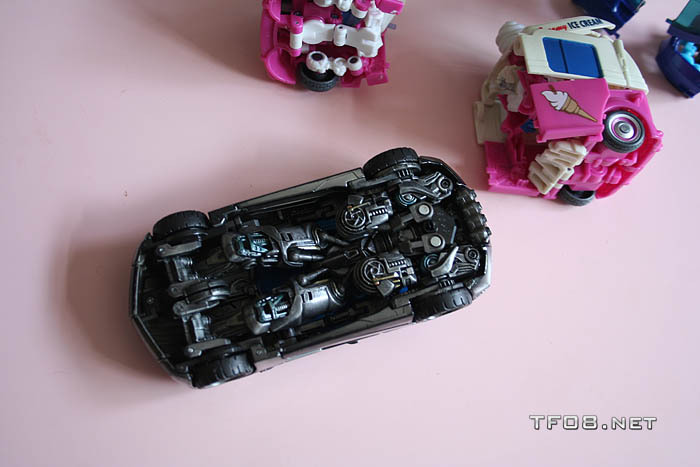 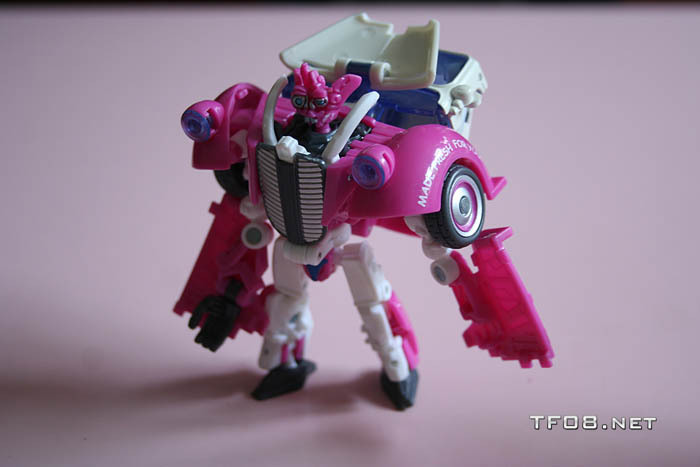 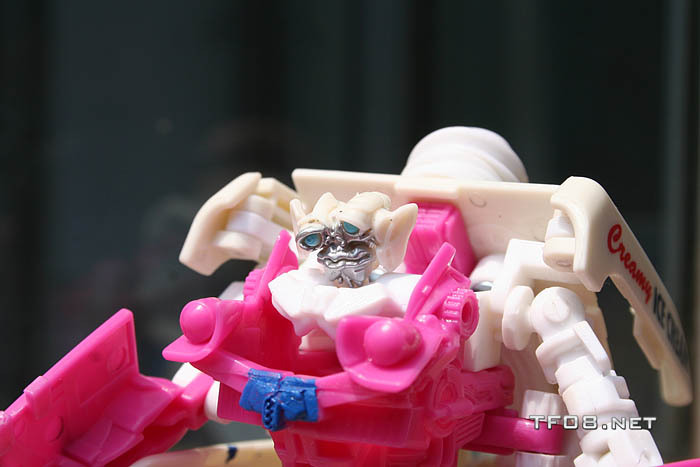 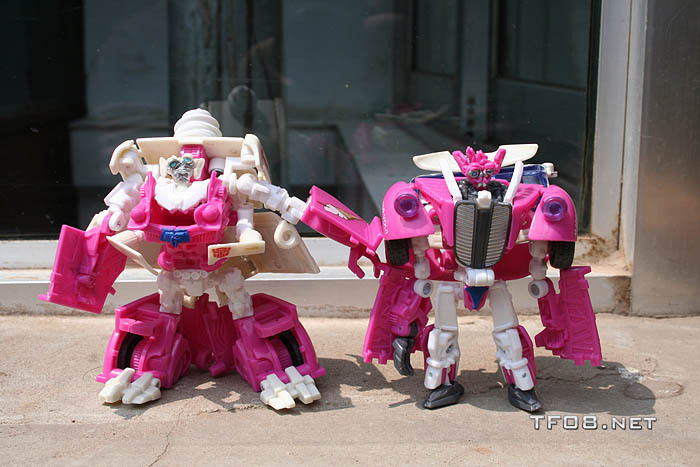 More shots of Arcee in robot mode, alt mode and in pack­ag­ing. 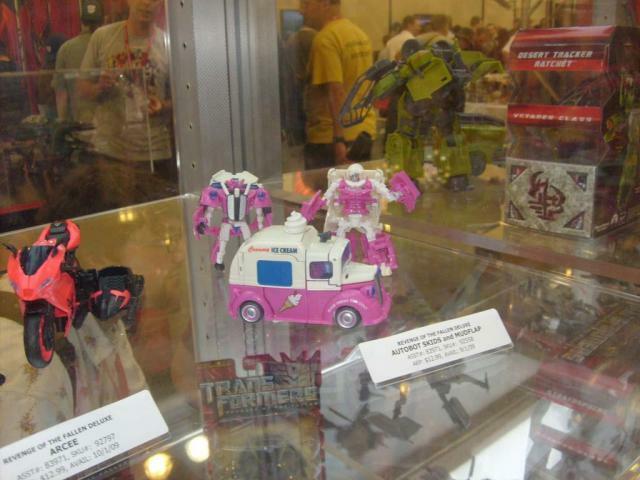 As well as the Deluxe class Jolt, once again in robot and alt mode. 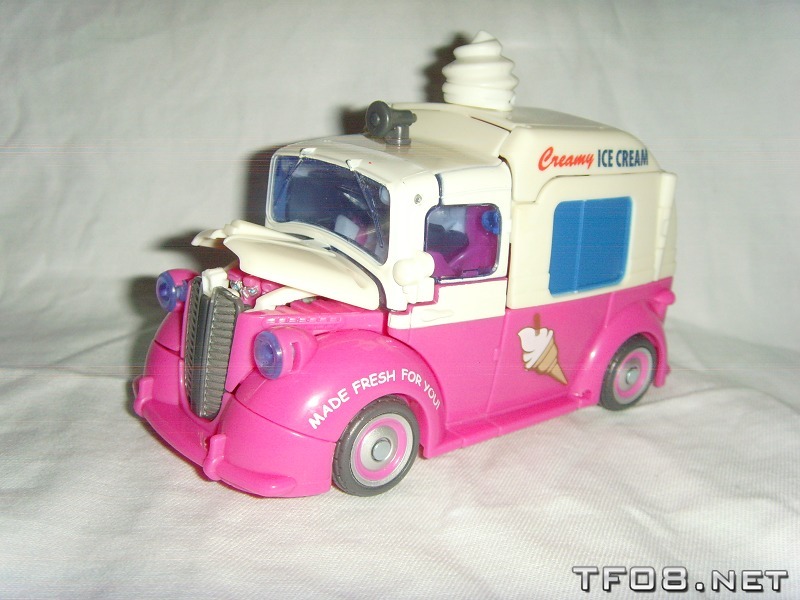 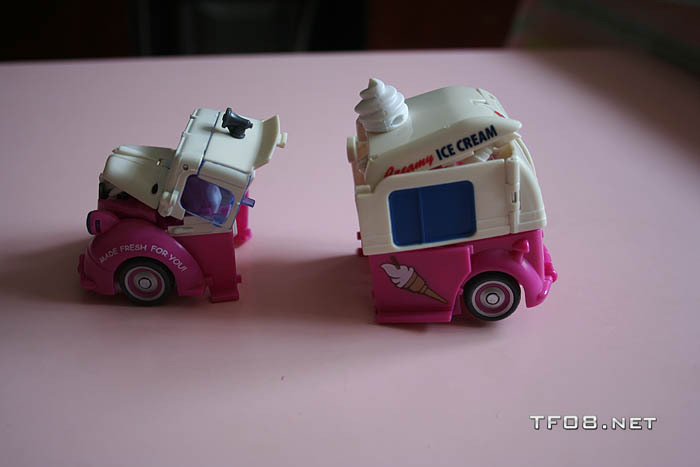 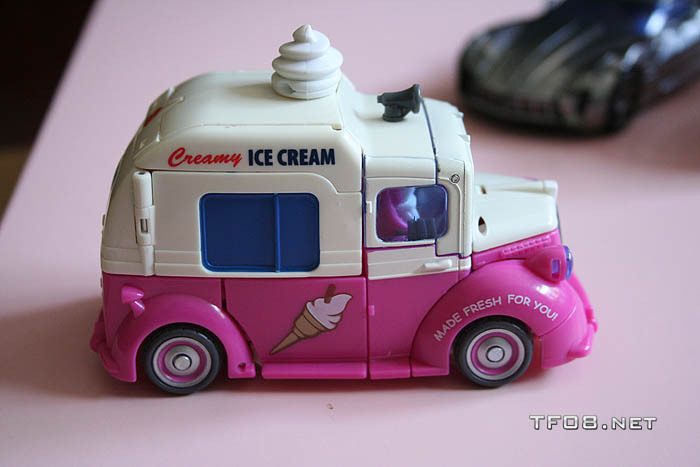 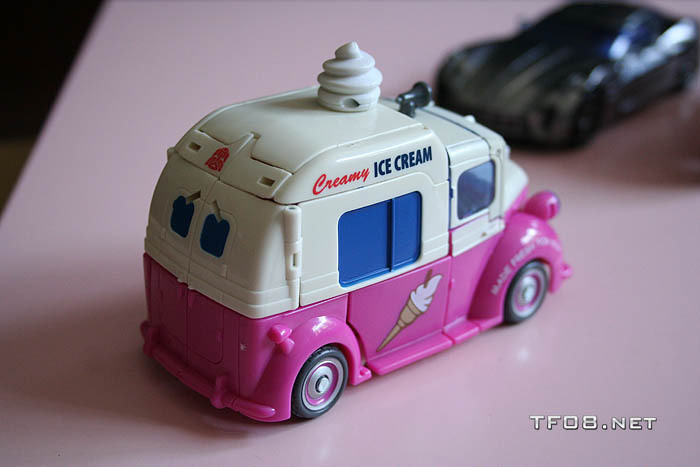 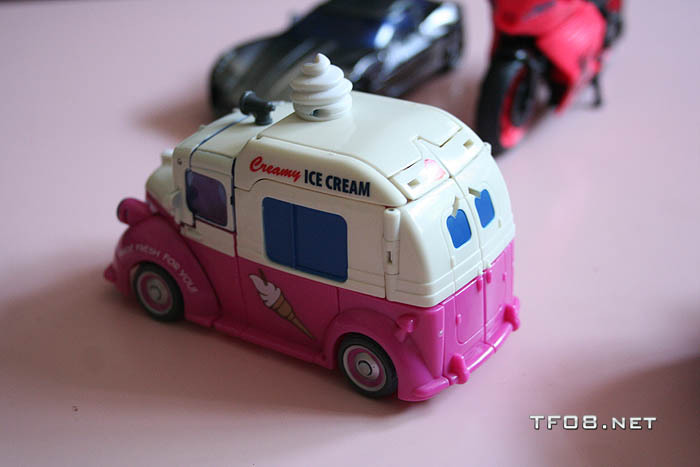 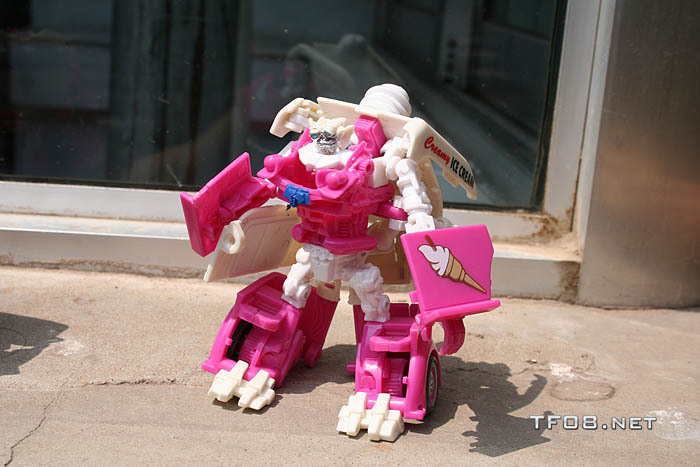 After a short wait, TF08 have posted their gallery of Skids and Mud­flap in their Deluxe class Ice Cream truck mode. 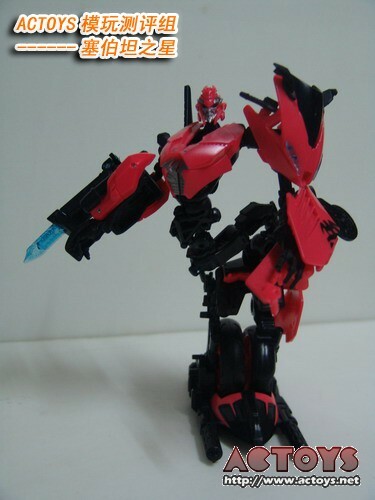 This is one of the best Revenge of the Fallen toys. 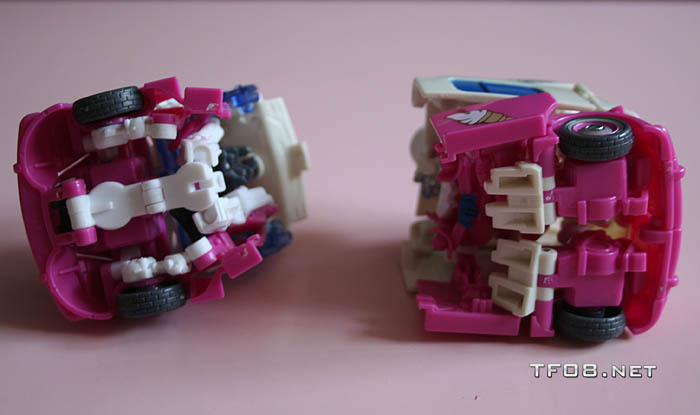 Now we await the video review. 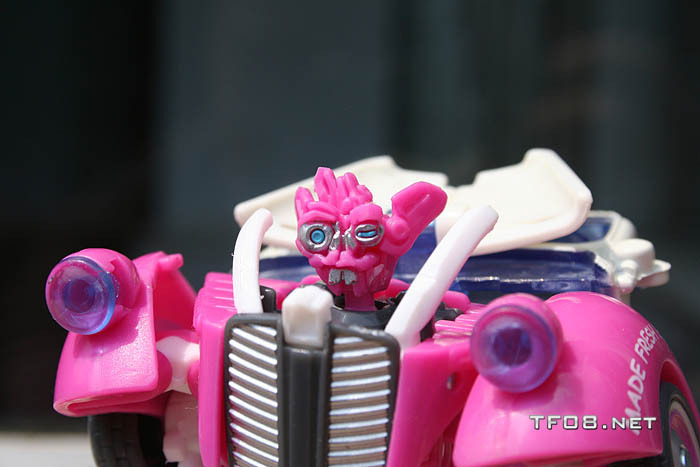 Hot Topic are sell­ing a range of Trans­form­ers mer­chan­dise to coin­cide with the movie’s release. 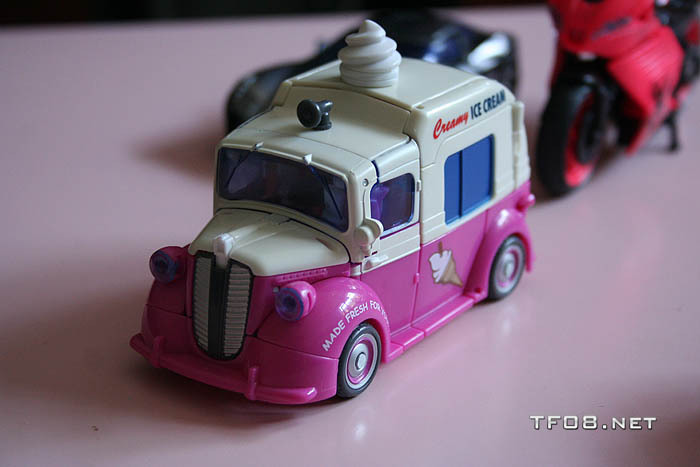 A lot of the cloth­ing fea­tures car­toon char­ac­ters, rather than opt­ing to use the fig­ures from the movies. 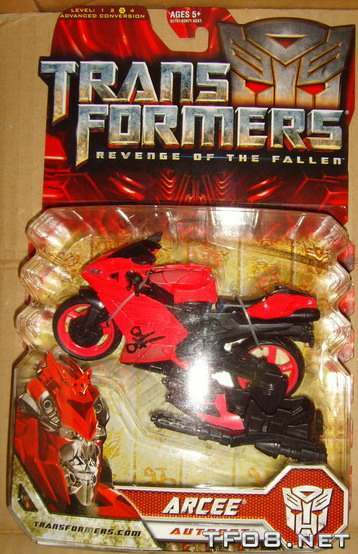 To mark the occa­sion, they have a con­test to win tick­ets to the US Pre­mière of Revenge of the Fallen on June 22nd. 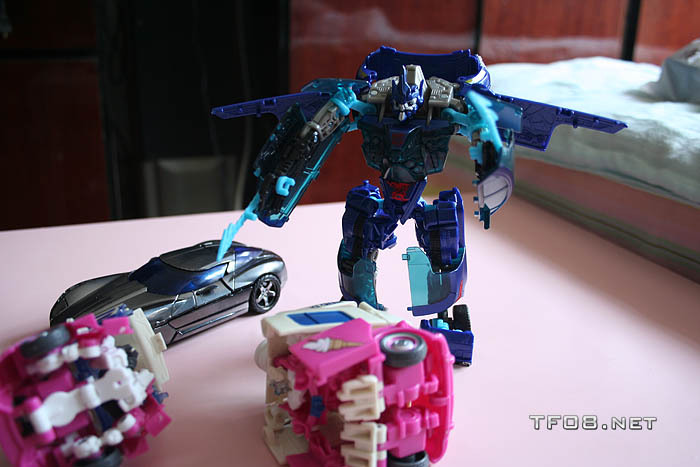 # Two (2) Tick­ets to the pre­mière of Trans­form­ers: Revenge of The Fallen! 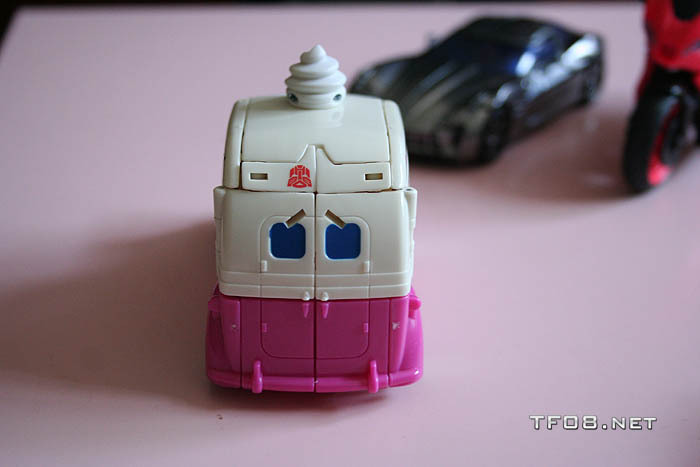 A two part review of the Bum­ble­bee fig­ure that comes with its own Sam Witwicky fig­ure. 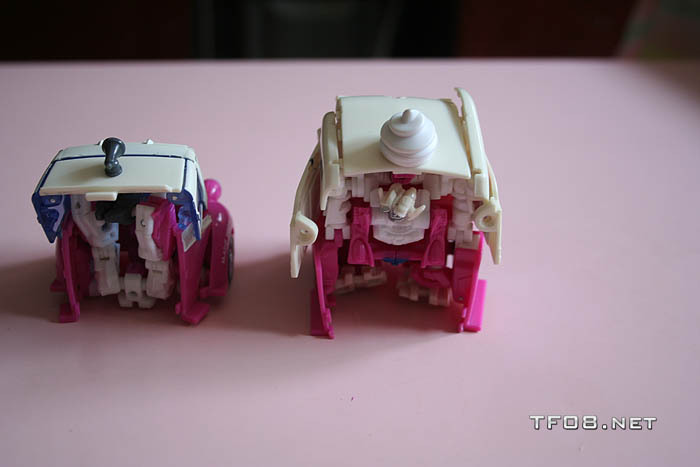 The videos detail the trans­for­ma­tion in painstak­ing detail. 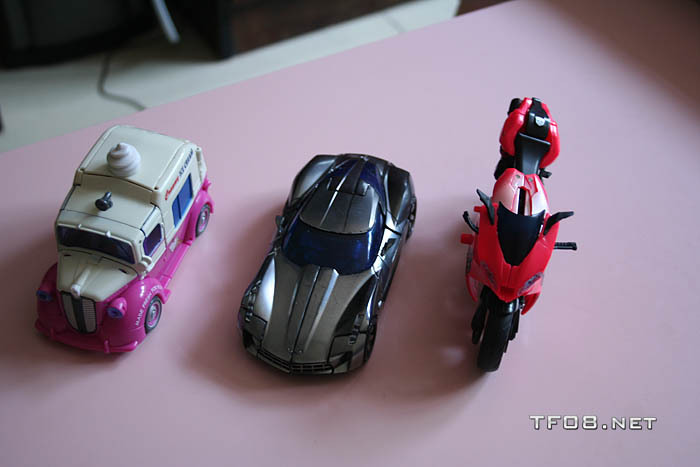 Thanks to YouTube user lilbrooksy911.